Across all industries, brands are experiencing the pressures of globalization. For marketing teams, this means an all-out effort to ensure that the brand can compete effectively in new markets around the globe. But deploying your voice across borders poses unique challenges and often-expensive risks. More often than not, compliance will require that you go beyond tweaking the privacy language. Under the Canadian Spam Act, companies are required to provide accurate mailing addresses and phone numbers in all email messages. Other countries have equally strict requirements for email opt-ins, unsubscribes and offers. Learn the standards in each country and make sure your content meets them. Ensuring that your digital communications are compliant is crucial to avoiding penalties that can slow you down and hurt the bottom line. When it comes to international brand marketing, getting the appropriate usage rights to imagery from the photographer or stock-house is only half the battle. As you head across borders, you’ll have to ensure that your photography is properly licensed according to a host of different legal standards. Many usage rights agreements restrict when, where and how long photos can be used – even some perpetual licenses prohibit transnational use. Also, in many jurisdictions, you won’t just face limits based on the rights of the photographer but on the content of the image as well. For instance, in some European countries using photos of children in for-profit advertising is severely regulated. Or your photography might run into problems of culture and translation – in Ethiopia, for instance, where photos specifically represent what is inside a package (source). Be prepared for these nuances when entering new markets: you might have all the right paperwork for an image and still not be able (or want) to use it abroad. Properly managed, differences in legal language can be a minor inconvenience. But if these variations are not planned for, they can be a major rock in the road. Mishandled legal copy can lead to regulatory action that will delay your marketing plan (and cost a hefty fee on top of it). Even if the verbiage is sound, legal still poses problems for a design – often making a layout seem cluttered and ungainly. Savvy international marketers know that preparing for changes in the height and length of a layout’s legal can make all the difference. Gather your legal copy in all markets before you decide what your final creative is going to be and make sure you test your layouts with the required copy sets to ensure they standup to the test. Finally, don’t forget that your legal should be prepared in the primary language of the country your ads will run in. This will give you a preview of how the legal will work in an in-language design, and you won’t be blindsided by unbreakable German words that can’t wrap to a second line and tarnish a layout. The United States only standardized on 8.5x11” paper 40 years ago, in the Reagan administration. There has never been a universal standard and popular page sizes can vary from market to market depending on history, availability, or even just fashion. Across global markets, there are more than 200 different dimensions that your brand might encounter, so don’t assume that a simplistic approach to page-sizes will make your local marketing truly effective. Before you rollout in each market, survey your top marketers from that country to find out what sizes they typically use. Also, be sure to watch what your competitors are doing in the marketplace – being prepared for all formats will give you the cutting edge needed to connect with customers in a new country. Just like page sizes, print reproduction practices vary dramatically from one locale to another. As an international marketer, you’ll have to contend with different print sizes and different paper stocks in most new markets. You may even find that the color palette you’ve chosen for your designs has reproduction quality issues based on local weather conditions. It can be embarrassing (and expensive) to be two shades off brand standard because humidity on press caused a Pantone color difference. How can you prepare for all of this variance? Talk to your local marketing partners in each country. Find out who the local printers are, and how your ads should be prepared for local printing. 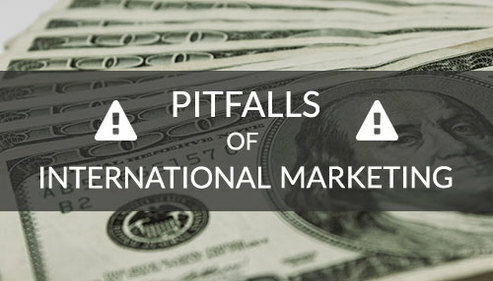 International customs to ship marketing materials can get very expensive, especially with frequent shipments. Having local printers in each country will lead to significant long-term savings.